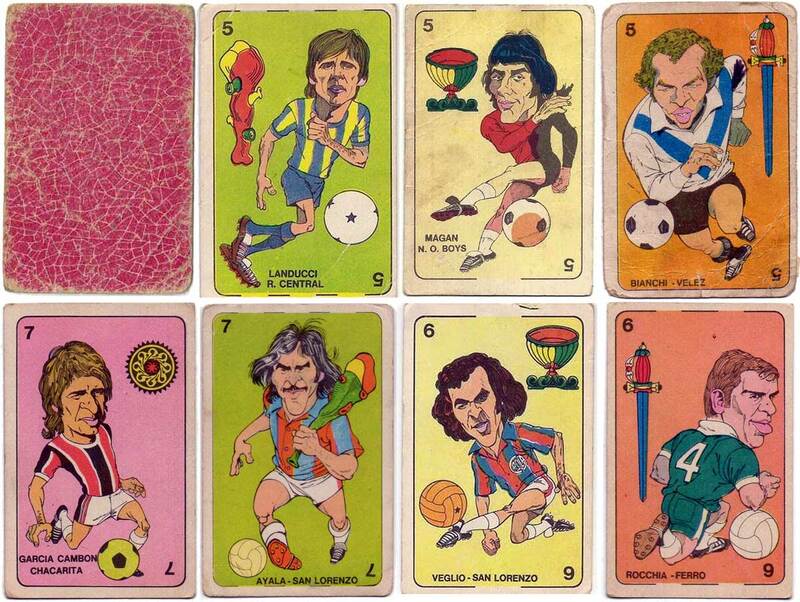 Figuritas Golazo “Barajitas Futbolísticas” Spanish-suited football cards from Argentina, with caricatures of players on each card (managers on the kings). 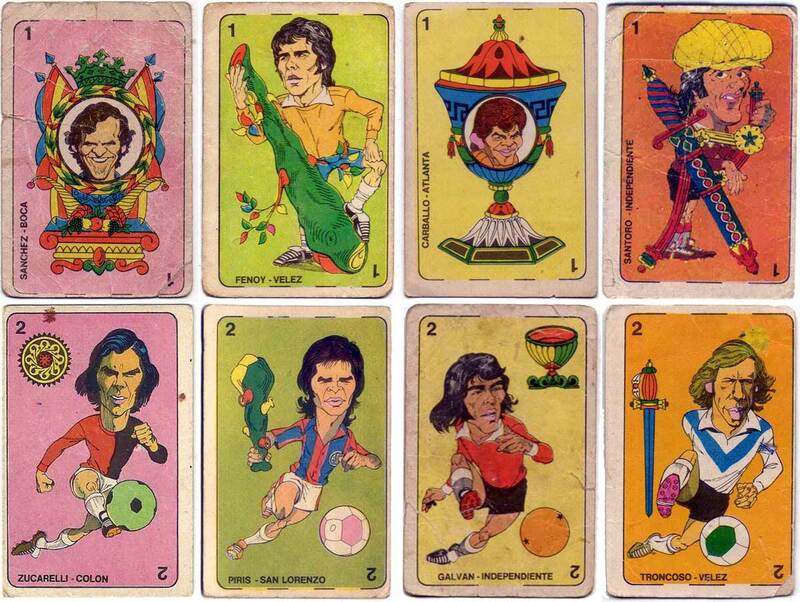 Cards were sold in small envelopes containing three playing cards plus photos of football players which were collected and exchanged. 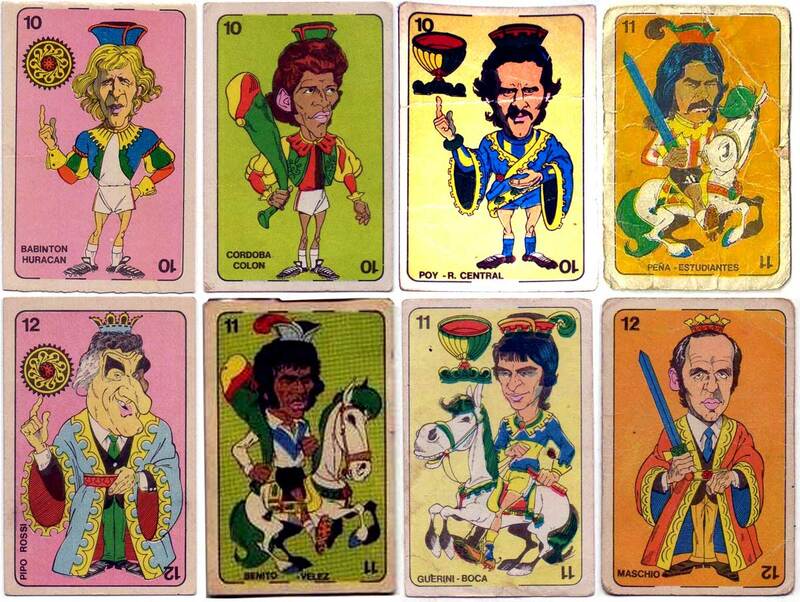 There were two matching sets of 40 cards each, with colour-coordinated suits. 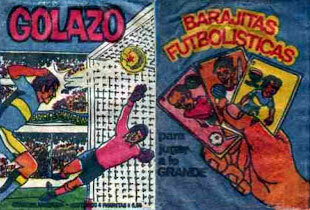 Above: Figuritas Golazo collectible football cards from Argentina, 1973. 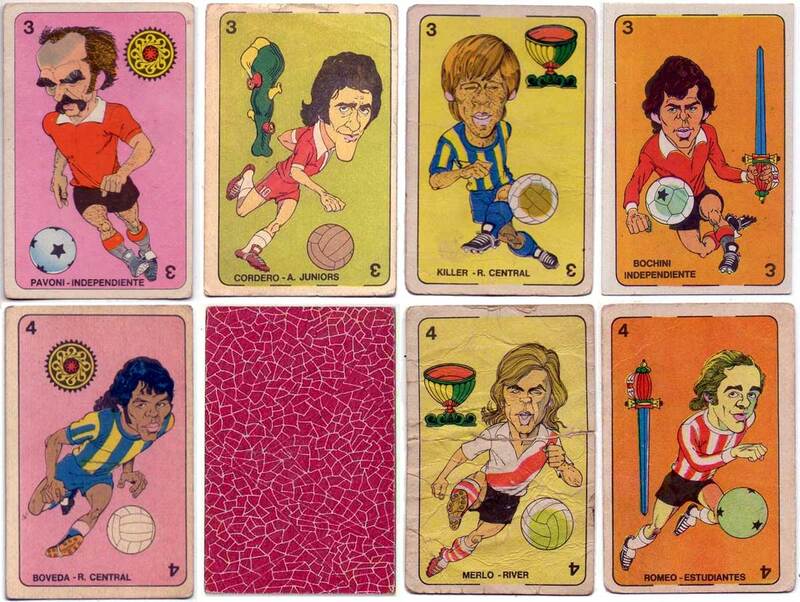 There were two matching sets of 40 cards each. Thanks to Fabian Chandzelek.